Using poison baits around the home is one of the most common methods of controlling rats and mice. Although extremely effective at killing rodent pests, they can also be harmful to non-target species including pets, livestock and people. 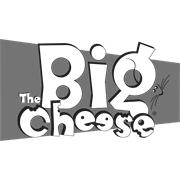 The Big Cheese bait products use the active ingredient Difenacoum. 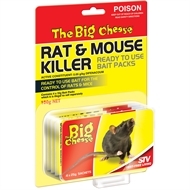 Highly effective against both rats and mice, it's friendlier to non-target animals than some other baits sold in Australia.